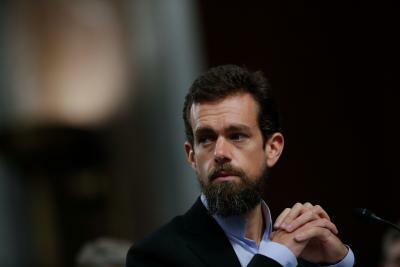 San Franscisco Sep 15 (IANS) Twitter CEO Jack Dorsey has said that the conservative employees at the social media service "dont feel safe to express their opinions" at work. Twitter CEO Jack Dorsey - like his counterparts at Facebook and YouTube - has consistently said that his service isn t biased. "But the people who build Twitter are biased Dorsey admitted in an interview last month saying out loud what everyone already knew: Twitter like most tech companies in Silicon Valley has a lot more left-leaning employees than right-leaners " Recode reported on Friday. Twitter is so liberal in fact that conservative employees "don t feel safe to express their opinions" within the company the report added. "We have a lot of conservative-leaning folks in the company as well and to be honest they don t feel safe to express their opinions at the company " Dorsey was quoted as saying. "They do feel silenced by just the general swirl of what they perceive to be the broader percentage of leanings within the company and I don t think that s fair or right " Dorsey added. The Twitter CEO also explained why he brought up Twitter s left-leaning employee bias to begin with. "I think it s more and more important to at least clarify what our own bias leans towards and just express it " he said. "I d rather know what someone biases to rather than try to interpret through their actions " he added.